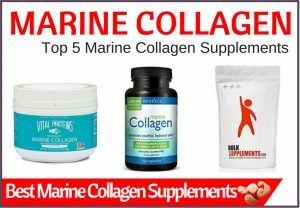 Home » Uncategorized » Collagen Creams Do They Work? Collagen; it’s the building block of healthy skin, and utterly essential in the battle against the inevitable wrinkles, laughter lines and other unsightly blemishes on our face that we all seek to avoid. 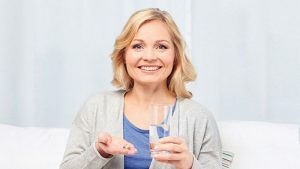 Orally ingestible supplements comprising of both plant and animal produce are many and varied in the marketplace, aimed at skincare enthusiasts and those looking to improve their hair, teeth, nails and joints alike. For anyone seeking to bestow special attention upon their skin, however, are creams the way forward? Anybody that spends a percentage of their salary at the skincare counter of the local pharmacy will know that many products that promise results frequently come in the form of a lotion, but do collagen creams actually work, or are we all falling victim to a corporate hoax destined to separate the vulnerable from their money? The appeal of collagen creams could not be more obvious. Anybody would surely prefer to smear a soothing, pleasantly scented lotion over their face than brave the intrusive and often terrifying prospect of a cosmetic surgeon’s knife, or the daunting idea of a Botox filler injection. What’s more, this is a process that can be completed in the comfort of our own bathroom as part of our morning beautification ritual, and is completely natural. Our bodies produce collagen organically after all, and it’s hardly our fault that this production process is slowed to the point of halting as we reach our Autumnal years. Sometimes, Mother Nature just needs a helping hand. Dermatologists, however, remain cynical as to the effectiveness of collagen creams. The reason for this is simple science; collagen is a protein that lives beneath the skin, and as result, slathering more above the surface of your flesh ensures that it will merely sit there until washed away. In theory, applying a lotion or cream should seep faster into your body than by aural ingestion. In practice, there’s just no way of such a dense protein breaking through the barrier that already exists. It’s not all bad news, as a collagen cream will certainly improve the aesthetics of your skin through hydration and moisturization, but don’t be fool into paying top dollar for a miracle cream that promises to reverse the ageing process almost overnight. Don't be fooled into paying top dollar for a miracle cream that promises to reverse the ageing process almost overnight. The truth is, such a product does not yet exist. 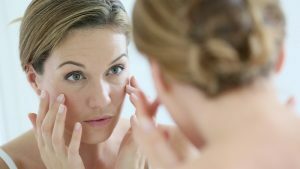 Of course, some major manufacturers will dispute this, claiming that they introduce micro-sized collagen molecules into their products which expand once applied, making their way into the skin. Again, experts cry foul at these claims, pointing out that if something was able to penetrate the human body in such a fashion it would be declared a medication, not a luxury cosmetic. If something was to penetrate the human body in such a fashion it would be declared a medication, not a luxury cosmetic. But if anti-wrinkle creams are such a sham, how on earth have they managed to stay on the shelves for so long? Surely the FDA would have stepped in by now, if not angry consumers declaring that they achieve nothing having exchanged their hard-earned money for such useless products? The reality is, while collagen is something of a buzzword within the beauty industry used to reel in consumers, some of the science behind anti-ageing skincare technology is sound. Pentapeptides, tiny chains of amino acids that work within the human body to promote the creation of collagen, are a key element of any successful anti-wrinkle cream1. 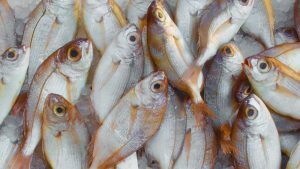 There is still no hard evidence that such things work, and indeed the results may be anecdotal or entirely dependant on the individual’s circumstances, but clearly enough people are seeing results to maintain demand for such offerings. Each of these components can stake a claim to smooth out skin, but you’ll notice that none of them claim to directly contain collagen; as previously established, that is simply impossible. Collagen creams are perfectly acceptable – albeit expensive – ways of making your skin shine, but if you are looking for some kind of natural Botox substitute, you may have more joy with something as simple as high-grade pure Manuka honey3, as the bee venom contained within can ‘shock’ skin into staying tight. You should be especially cautious of the use of Retinol, a hugely popular agent in the skincare as a variant of essential Vitamin A, but also an exfoliate that takes no prisoners in its approach to skincare. Often used to combat acne as well as wrinkles, Retinol strips away a layer of skin each time it is used, which could cause short-term gain but longer-term complications as the skin struggles to repair itself at the same rate. Naturally, at the time that a ‘eureka’ moment is seized upon by the resident experts of this field and a method for absorbing collagen directly into the skin (with hydroziation currently the method most likely to achieve this goal), the revolution will be complete and wholly welcome. 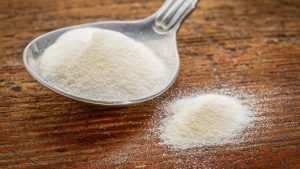 What's Most Effective For Boosting Collagen? 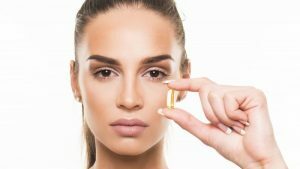 If you are looking to boost the levels of collagen in your body, oral ingestion of supplements remains the most effective manner – along with lifestyle decisions such as giving up cigarettes, eating a balanced diet rich in protein and plenty of essential vitamins, and avoiding excessive exposure to direct sunlight. It certainly does not pay to ignore the way that our bodies organically produce less and less of this essential protein, but until the science of collagen creams can be proven beyond the empty promises of marketers, these items should be left off your shopping list. Collagen creams will not prevent wrinkles, and any benefits to the skin they provide can be obtained through considerably simpler and cost-effective products. Looking at it scientifically, logic, let alone expert opinions, should tell us that it really is not a possibility for collagen creams to solve skin problems, nor any moisturizing agent on the market. In fact. Dermatologists will claim that it merely makes the skin "lazy"
As these products cannot be absorbed fully into the skin, they will sit temporarily on the surface, to trap and to a certain extent to protect our skin from external influences. Equally so, unless you frequently remove dead skin cells from your face, creams will merely ‘stick’ those cells onto your skin! 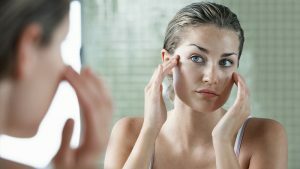 The result of this action could be clogged pores and other skin problems including rosacea, spots and pimples, soreness and redness and even acne. Liberally applying any cream to your face, particularly a moisturizer (with or without collagen) will give your brain a false message, and it will stop producing the necessary natural moisture that your skin needs. Worst of all, because the skin is being prevented from natural moisture production, lines and wrinkles may even appear faster than ever. A simple footnote for you – in keeping the skin in great condition, or as best as possible during the aging period, water is one of your best friends and top of the list of hydration assets. Hydrating from within produces a wonderful outer glow as well and is imperative before you start slapping creams on with free abandon and knocking holes in your bank account.